Sasha's first trip to the park, Autumn 2010. She still wears those shorts a year later! 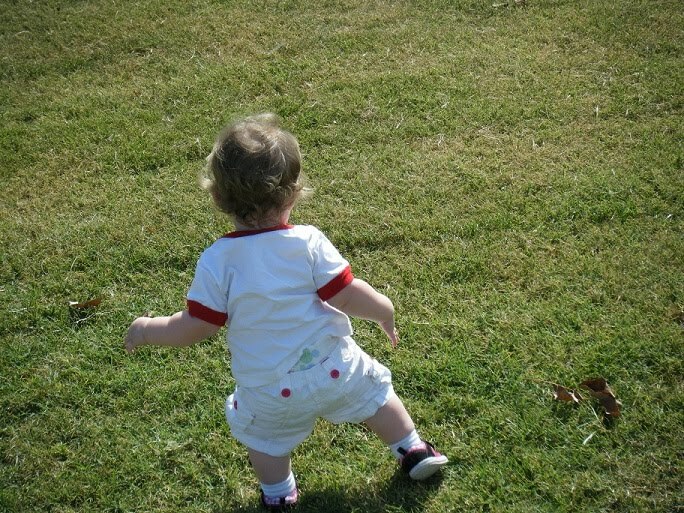 See more Autumn photos on Natural Parents Network Wordless Wednesday! Isn't it funny how kids' butts don't seem to grow? Little M is wearing the pants Baby T was wearing last spring. I just roll up the legs! it's crazy how their growing slows down in the 2nd year! Look how cute and stubby-baby she looks! I know Mikko's mostly just been growing legs since that age, so I get what you mean about the pants.